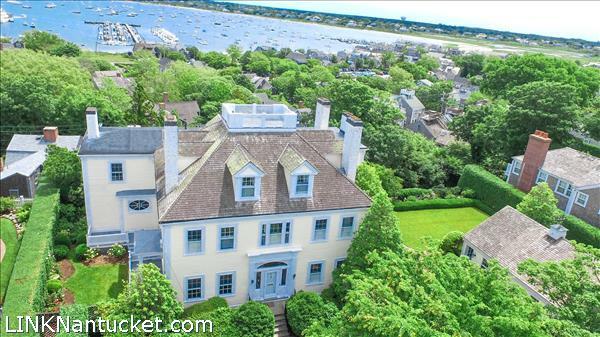 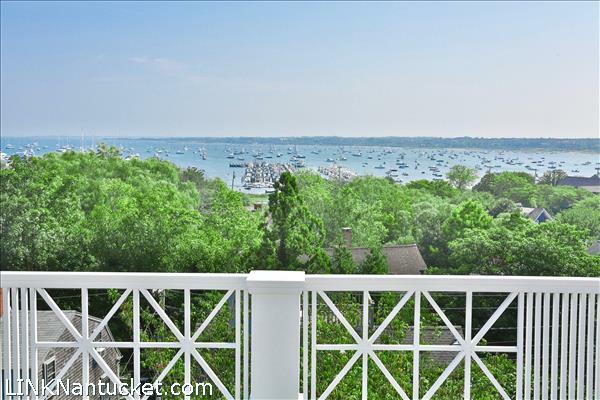 The combination of the grandeur, prime location, and stunning harbor views makes 30 Orange Street truly a rare property. 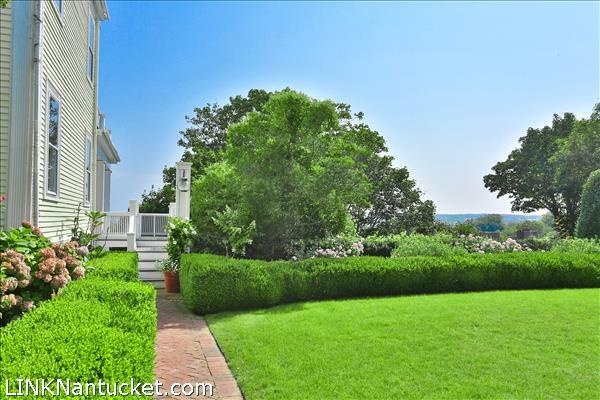 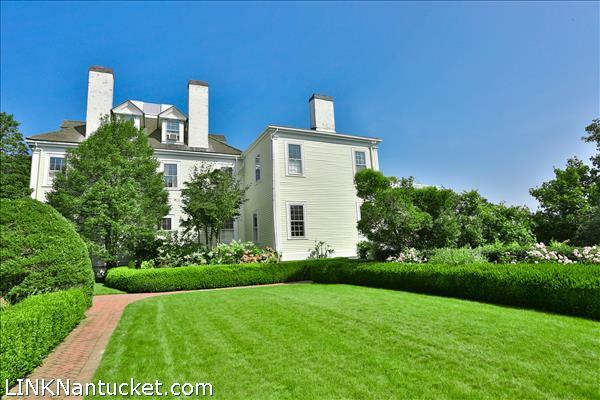 "Long Hill", the stately Federal Style mansion built by John Nicholson in 1831 during the height of the Nantucket Whaling Era, is prominently sited behind an impressive wall of privet featuring beautifully manicured gardens. 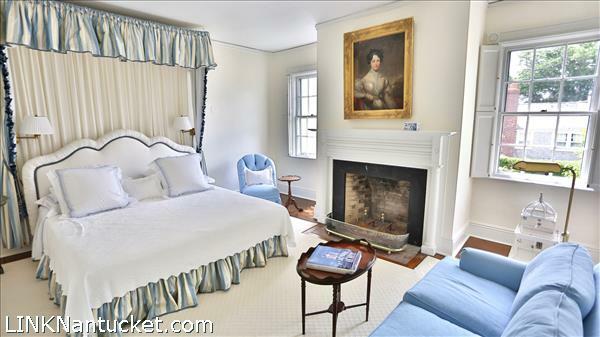 The house has been lovingly maintained to preserve the historic details throughout this historic gem. 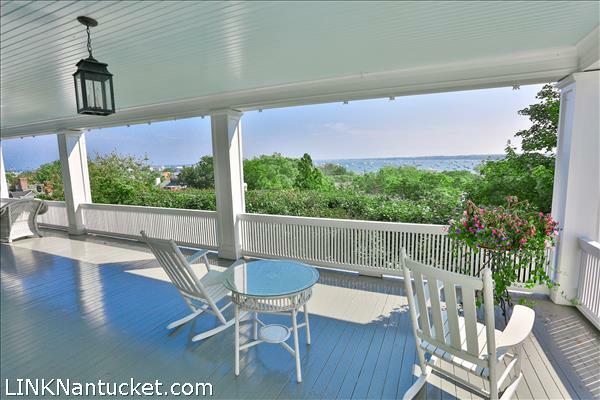 The views from the house look up Nantucket Harbor, over to Brant Point Light House, Coatue and the scenic Salt Marshes abutting Monomoy. 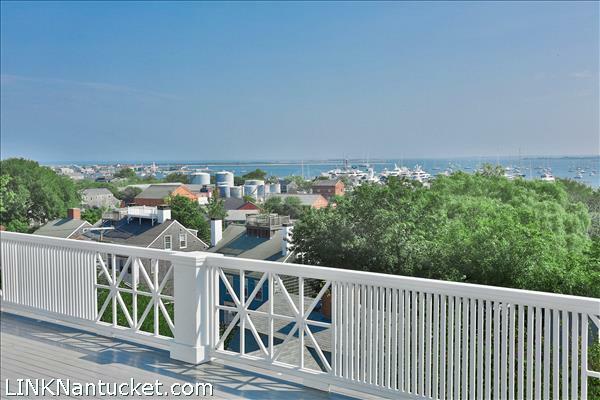 The views intensify as you travel to each of the three floors of living space, with expansive decks flanking the house's first and second floor. 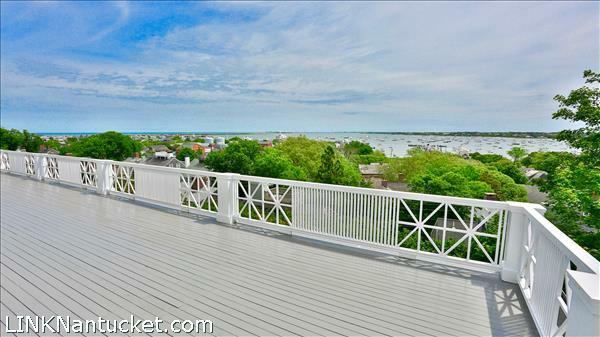 The easily accessible Widow's Walk provides truly panoramic views. 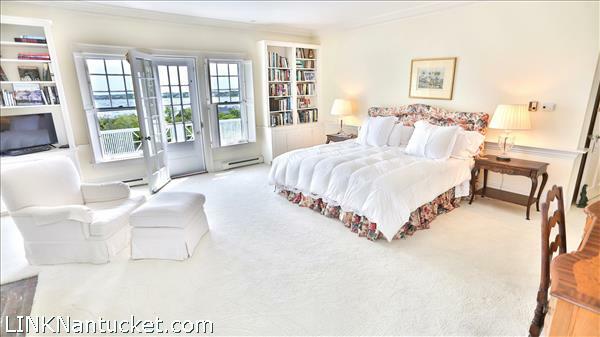 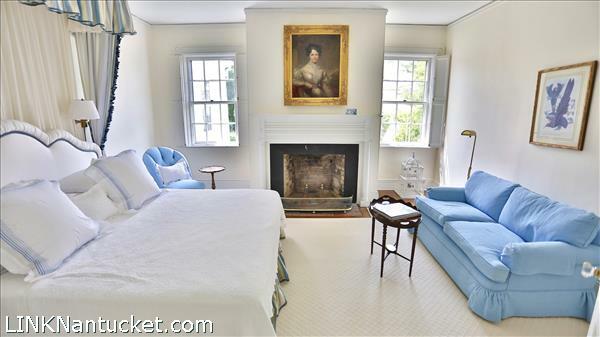 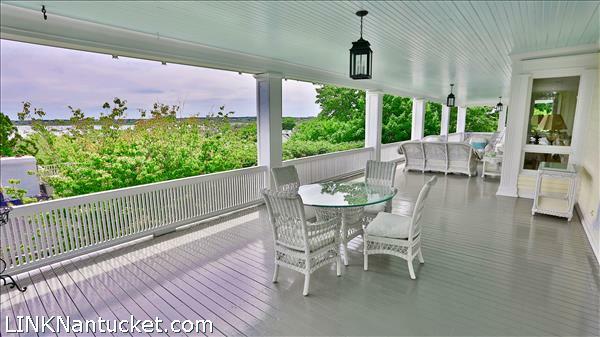 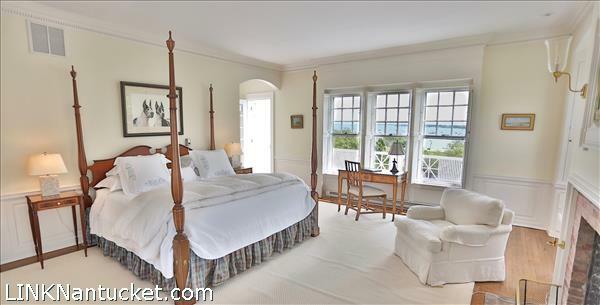 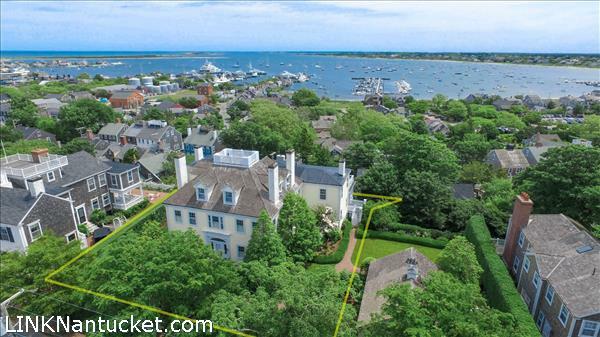 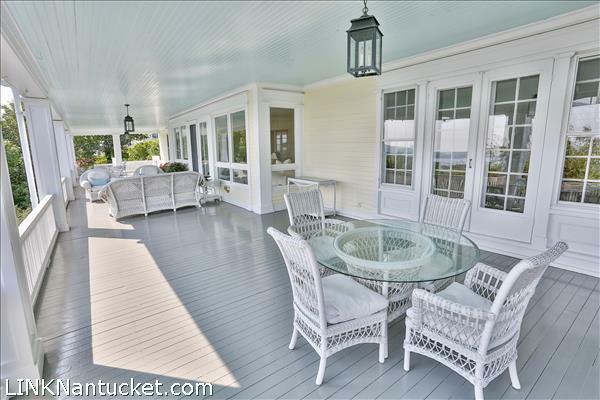 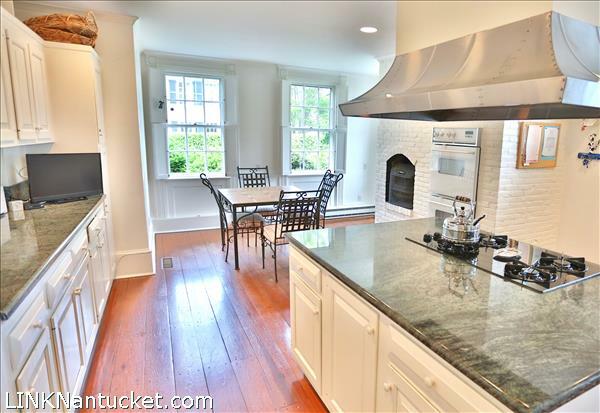 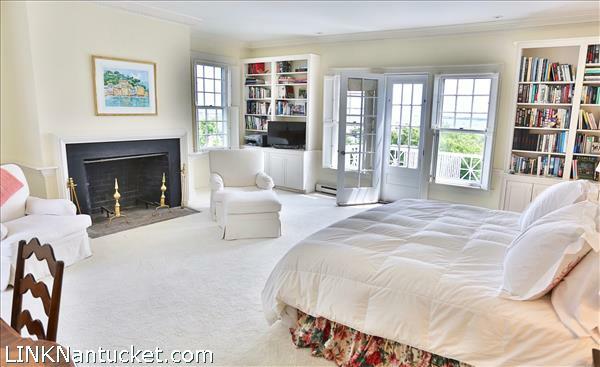 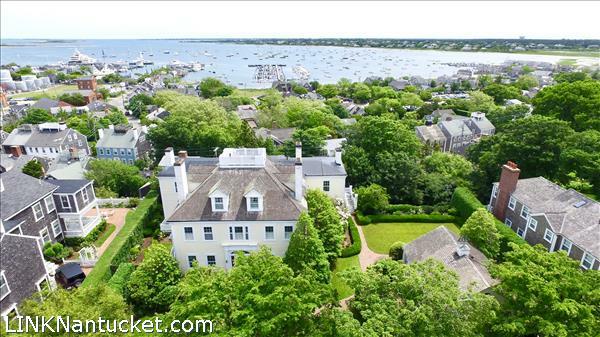 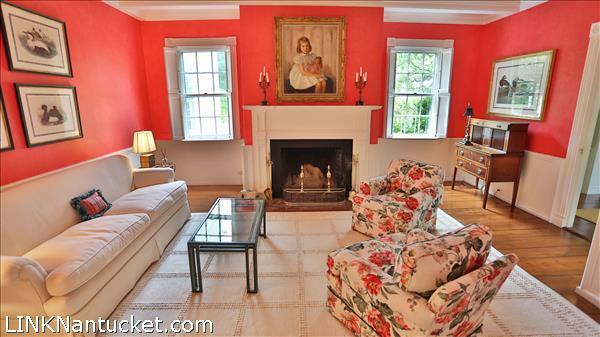 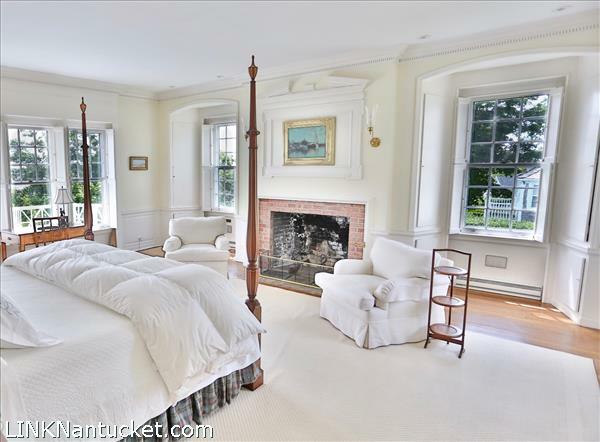 This important property is a genuine retreat located in a setting moments from the center of Nantucket Town. 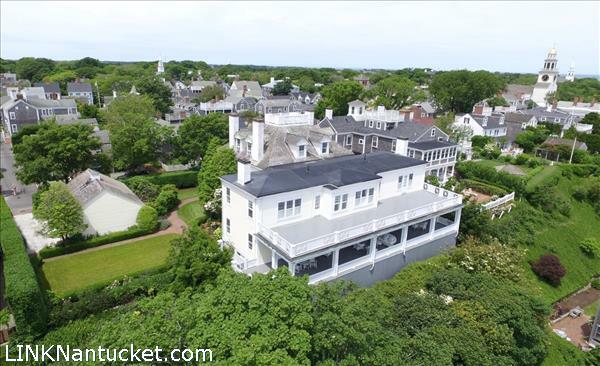 Enter the residence through the center hall entry that immediately captures the essence of this property with a combination of direct harbor views and striking details that include generous ceiling height, scale, custom moldings, doorways, and leaded glass side panels. 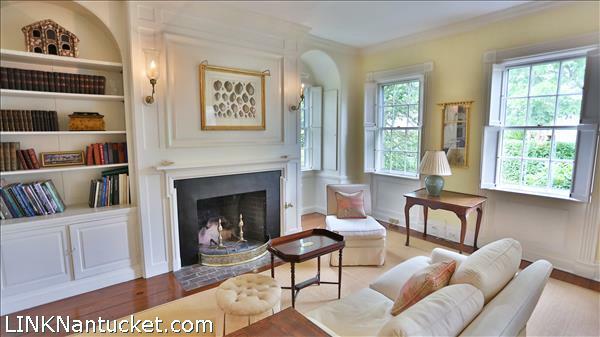 The right of the entry includes: a greeting room featuring a fireplace and stately milled details; sitting room with fireplace; handsome wood paneled library featuring wet bar, fireplace, and coffered ceilings. 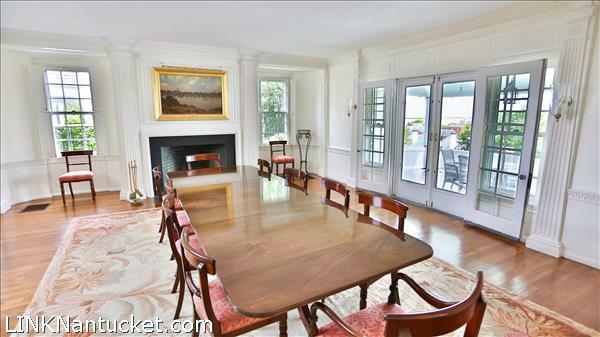 The left of the entry includes: a very spacious kitchen suitable for frequent entertainment and features a beehive fireplace, butler's pantry with wine storage and a classic zinc sink, ample cabinetry, and a rear staircase; light-filled gracious dining room with fireplace and providing long views of the harbor through French doors. 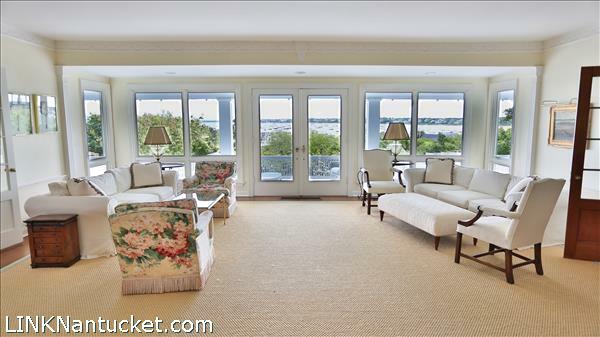 The magnum opus of this exceptional property is the grand living room that opens onto a magnificent veranda that overlooks the harbor. 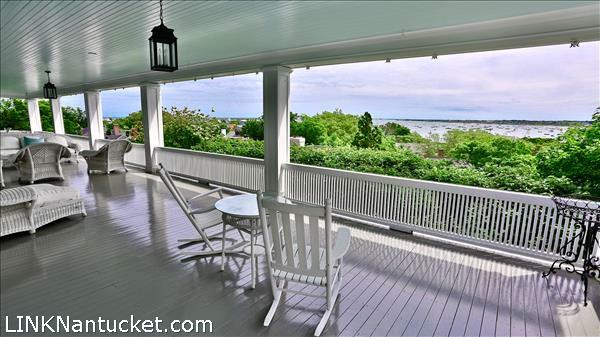 The third floor has ample space and features the charm of church steeple views. 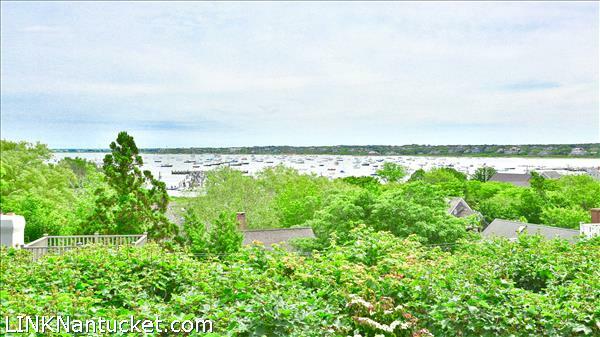 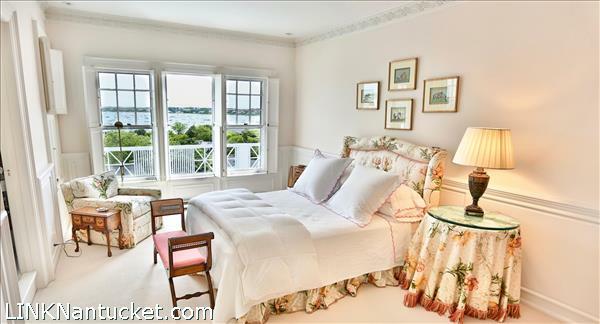 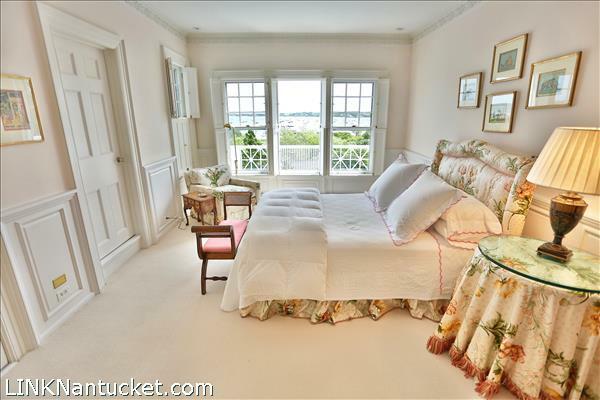 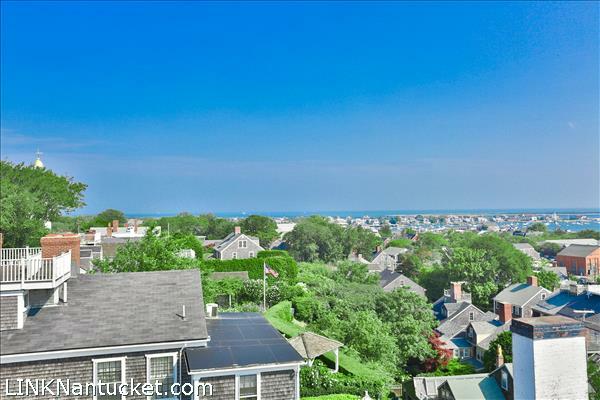 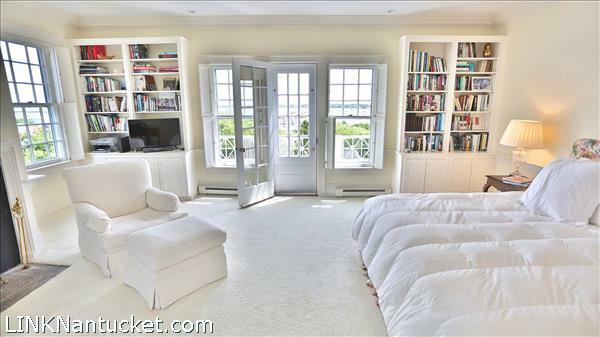 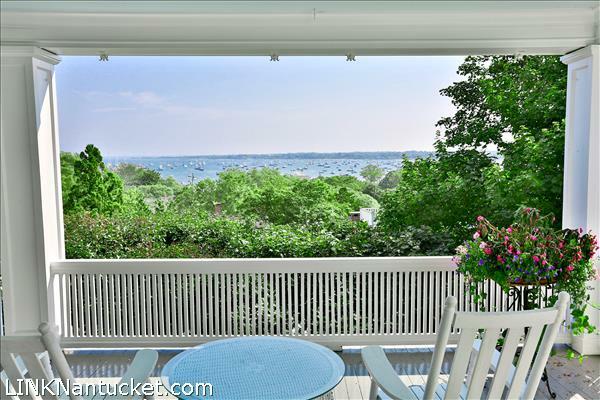 There are three bedrooms, three bathrooms, a den and a central staircase to the widow's walk that offers perhaps the most prominent views over Town and Nantucket Harbor out to Nantucket Sound.